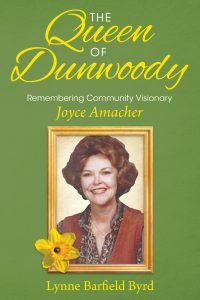 The Queen of Dunwoody is the story of Joyce Amacher, an Atlanta native who moved to Dunwoody in 1968 where she and her husband raised their family and she focused her talents and passion on community enrichment, fighting the effects of urban sprawl while advocating for architectural design standards. 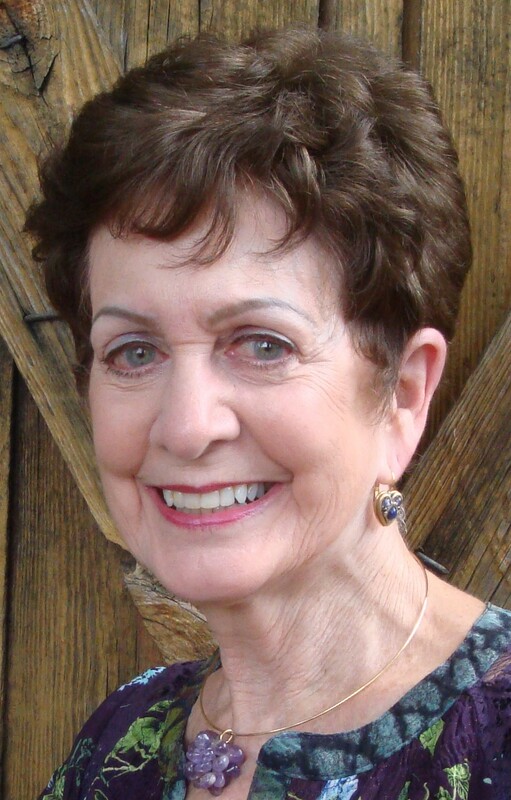 As a visionary leader, Joyce knew the talents of other community members, encouraging them to contribute their best. She served as charter member and one-time President of the Dunwoody Homeowners Association, the volunteer governing body until Dunwoody became a city in 2008. When the county planned to expand Ashford Dunwoody Road into a 4-lane, she was influential in gaining permission and funds to beautify the road with a tree-filled median. In 1998 after a devastating tornado, she led efforts to replant the Dunwoody Forest. She and Lynne spearheaded efforts to purchase and restore the Cheek-Spruill House, known as the Farmhouse. The Queen of Dunwoody will launch at the historic Donaldson-Bannister House on May 5, 2018 from 2-4pm. Proceeds from sales will be evenly divided between Joyce’s three favorite non-profits: The Dunwoody Preservation Trust, The Dunwoody Garden Club, and the Dunwoody Homeowners Association.